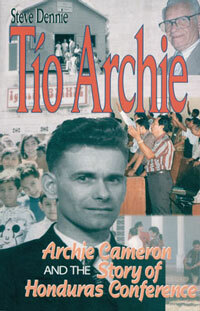 Tio Archie , published in 2001, combines the life story of Archie Cameron with the history of Honduras Conference. The two are intertwined. While the history goes back to the 1920s, and the United Brethren church became involved in the 1940s, the current UB work in Honduras can accurately be traced back to the arrival of the Cameron family in 1952. The book tells the story not only of the Cameron family, but of various missionaries and national leaders who have served in Honduras over the years.